I would like to thank the publisher, Headline, for giving me a review copy of this book in turn for my review. It's Lily's twenty-fifth birthday and she starts it off the same way that she always does, with a letter from her mother. This year is different though, as it is the last year that she will receive a letter, because her other died before she got the chance to write any more letters. Having read the last letter from her mother, Lily goes on a journey of her, meeting people from her mother's past and making new discoveries along the way. 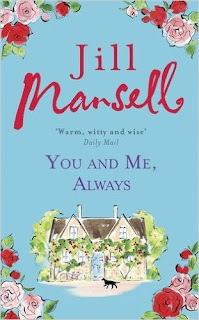 When I read Three Amazing Things About You last year, I fell in love with Jill Mansell. I couldn't wait to get my hands on this one, so I was delighted when this arrived through the letterbox. Prior to reading this, I had been in a hue reading slump, only managing to read about twenty pages before getting bored. However, the minute I picked this up and opened the first page, I knew that this would be the book that would get me out of the slump and show me why I love reading again. I adored everything about this book. The way that the words poured off the page made it a light, easy read. It made me laugh and being honest, it made me shed a tear or two also. The characters in You And Me, Always, sparkled like glitter on a sunny day. Lily may very well be one of the best fictional characters that I have ever read and I adored the character of Patsy. Even though there are a large number of characters in this book, once you get to know them and their story, it is very easy to follow, as they are all linked in some way. Jill Mansell has created the most wonderful setting in Stanton Langley. I adored the fantastic descriptions of the town and the way that the whole community were like one big happy family. This is only the second book that I have read by Jill, but the two have read have had a lasting effect on me. 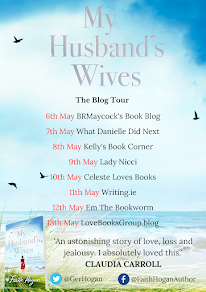 I can't wait to get stuck into some more of Jill's earlier books as well as any new release that she will have in the future. I can't give this book any less than 5 stars and I will be recommending it to absolutely everyone who will listen.